Skip the Chinese takeout! 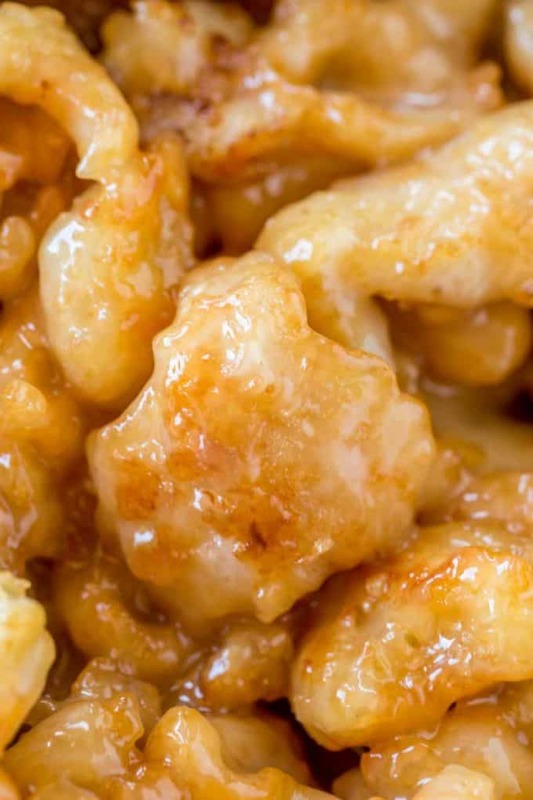 Chinese Honey Chicken is the kid sister to the ever popular and expensive restaurant favorite of Honey Walnut Shrimp and the perfect recipe to serve alongside Lo Mein, Orange Chicken and Fried Rice. The crazy thing about this super crispy honey chicken is how few ingredients it takes to make (plus it is naturally gluten-free). Chinese restaurants are tricking us with how intimidating they pretend this recipe is because it tastes so light and crispy and sweet and we can’t place the ingredients. But really, just 6 ingredients is all it takes and you’ll swear it tastes as good as P.F. Changs! 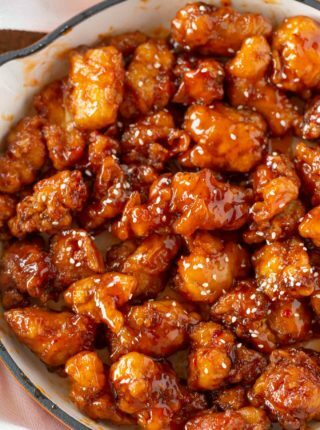 How do you make Crispy Honey Chicken? The secret to the recipe is really the minimal ingredients in the breading which allow the creamy honey sauce to be the star of the show. The egg whites add a light taste while the cornstarch keeps things really crispy. 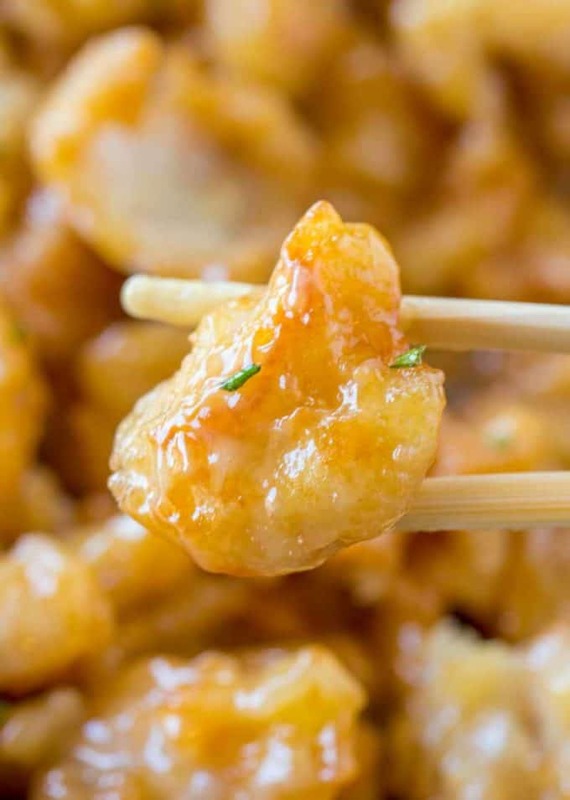 It’s a take on a classic tempura recipe (like my crazy popular Tempura Shrimp). What kind of chicken is used in Honey Chicken? When cooking a tempura based Chinese recipe the meat is always a leaner cut of meat. 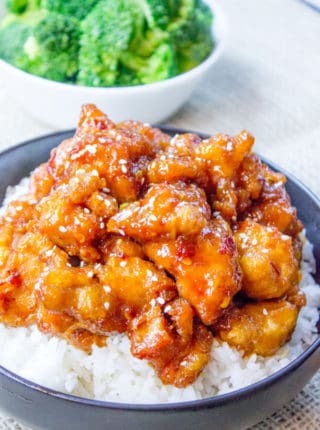 In Chinese Honey Chicken we use chicken breasts to keep the bites of chicken as light as the light and crispy fried coating. If using a chicken thigh, the heaviness of the chicken would outweigh the tempura crunch. How do you make Tempura Batter? Tempura batter is a mixture of egg whites, cornstarch and water (or club soda) mixed over ice to keep it as light as possible. 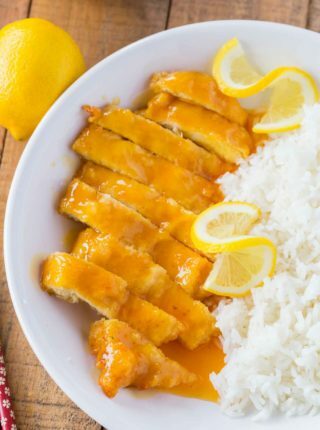 Can you bake Honey Chicken? No, this recipe requires deep frying because it has a wet batter. It will not create a crispy chicken if baked, it will cook into a pancake. 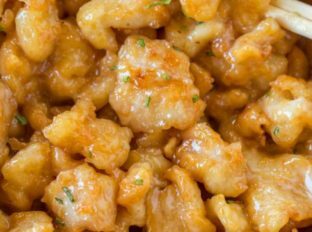 You also cannot make this dish in a slow cooker or in an instant pot with any form of tempura batter. What to serve with Chinese Honey Chicken? We like to serve Egg Rolls, Spring Rolls, Potstickers or Crab Rangoon as appetizers, Brown Rice or Chinese Steamed Rice as easy side dishes and Chow Mein, Sesame Chicken or Sweet and Sour Chicken as accompanying dishes. 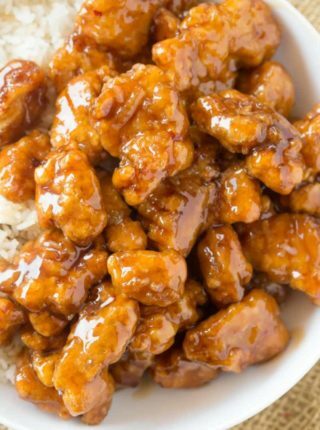 Sweet and Sour Sauce or Sweet and Sour Pork would also provide a great flavor contrast to the flavors in this Honey Chicken recipe too. If you’d like to garnish the dish you can use green onions, red pepper flakes, chives or sesame seeds. 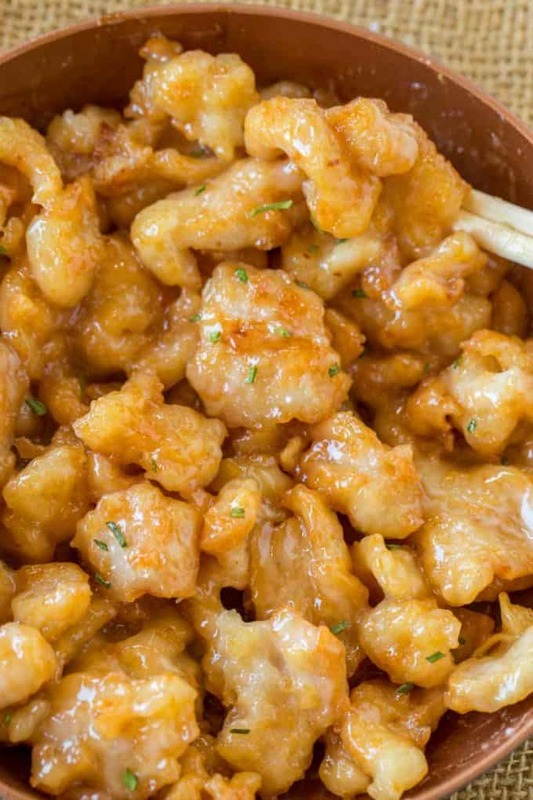 In order for this to be an authentic Chinese restaurant version of Honey Chicken we’d have to use Mochiko Sweet Rice Flour. In order to test the necessity of this ingredient (it isn’t the easiest to source) we did a side-by-side test with the mochiko vs cornstarch and found minimal difference in taste which led me to swap the ingredient for something much more likely to be in your cupboards. Quick question, I want to prepare this today, but have someone who truly hates mayo… how strong is this taste? So sorry I’m just now seeing this. I don’t think it’s a strong mayo taste but everyone’s taste buds are different. I hope you all enjoyed it. Try using full cream yoghurt instead of the mayo. All. Looks wonderful and will make. Do you have recommdations for side items? The japanese one? Kewpie mayo or just hellemanns light? Can you use this in the air fryer? I’ve not tried any but I’ve seen recipes online stating that you can make a substitute using a handful of pantry items. I’m sure you’ll be able to find a few options online. Good luck! What kind of oil do you use to fry the chicken? I use canola but you can also use vegetable oil or peanut oil. Enjoy! Absolutely amazing! Thank you so much for posting this recipe. It was delicious. I didn’t have sweetened condensed milk, so I just used two tablespoons of milk with two tablespoons of sugar. Worked like a charm! 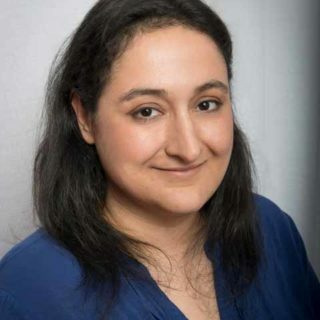 Thanks for taking the time to come back and let me know how much you enjoyed it, Dani! Delicious! We loved it. Simple, crunchy and tasty! Thanks for dropping by to let me know, Bre! I’m so glad you guys enjoyed it! I loved this! I made chicken and shrimp the same way the same night and my family has a new favorite! Omg, this was INCREDIBLE! Exactly like the PF Changs version. This was super easy to make too, only a handful of basic ingredients! Cant wait to make again! Thanks for the recipe! the sauce would be good if it didn’t taste like a hint of mayo… i hate mayo with a passion, but i figured if i added the honey/condensed milk that it will change the flavor, but that mayo flavor doesn’t go away unless you lightly sauce the chicken. the sauce is just way too much, so i ended up blotting a lot off the chicken, and yet it was still too much. i suggest slowly adding it to the chicken until you get the amount you like. Do you have any substitution ideas instead of mayo? My husband hates mayo and won’t eat things that have it in the recipe even if he can’t taste it. Sorry but mayo is the main ingredient for the sauce so there’s nothing that would work as a substitute. I’m sorry, I’m so confused. Do you dredge the chicken in the egg whites and then the cornstarch mixture or are the egg whites and the cornstarch mixture mixed together? The egg whites are combined with the cornstarch mixture and whisked together. I always get this Honey Walnut shrimp from this one place we get take out, but every time the sauce gets watery. so I vowed to figure out the sauce. I always thought it was from putting it in the container while it was hot and the condensation watered it down. then I stumbled on this recipe for the breading, and decided to make the whole recipe. oh man, it was amazing, and it was the Honey Walnut sauce I was looking for! (without the walnuts and shrimp obviously) but my sauce also watered down after it sat for a while with the chicken in it, is there anyway to fix that? I’ll definitely be keeping this recipe in mind, even for the breading for other stuff. glad I stumbled on it! I’m so glad you love the recipe! Because this recipe has mayo in it, it will breakdown over time. It’s best to serve immediately. Is it ok if I don t have cornstarch? You can substitute with Mochiko Sweet Rice Flour. If you don’t have that either, you can use AP flour in a pinch though it will change the flavor. Super yum!! I cooked with a bit of sesame oil, and that added a delish flavour. Great being Gluten Free. Very yum! Would make again any time. I made this. It was delicious and easy. My husband was in heaven said it was one of his top 5 meals. Making again this week, because of left over ingredients. We are really looking forward to it. I usually try to go a couple months before making something over, but this is too good to wait. I’m out of oil, do you think there’d be a way to bake this? No, I’m sorry but that really won’t work with this recipe. Hi Amy ,Can you leave chicken in mix untell ready to fry .I made it for family ,they loved it. You’ll want to fry it immediately…So glad you all are loving it! Hi! This recipe sounds perfect and very easy! Small question, what is the green garnish in the photos? It’s parsley. 🙂 It’s not necessary for this recipe but I love to use it with my photography. Do you need the sweeten condense milk? This turned out amazingly well. Tastes just like takeout but better. Impressed everyone who had it tonight. Thanks for the concise but delicious recipe! Love that it’s only 6 ingredients! Do you heat up the sauce at all before putting it on the chicken? No, no need to heat it up because the chicken that you’re mixing it with is already hot. Enjoy!! The egg whites and corn starch don’t mix well together it’s doughy. Is it supposed to be doughy it’s definitely not a coating. No my sincerest apologies, there was a glitch in the recipe plugin I use, it has been corrected. Some water needs to be added to the mix as well. This recipe looks great! Just curious about the amount of honey… is it really only 1/4 Tablespoon? No, that was a glitch sorry, it is meant to say 1/4 cup. I’ll fix it, thanks for the heads up! I’m going to try this tonight, but I am confused. How much oil do I use? Do you use enough for like a deep fryer or use a few tablespoons to pan fry? Thanks for the clarifications. I deep fry. You can certainly pan fry, the texture won’t be the same though and the breading wouldn’t hold as well. I love chinese food and making at home is way better than doing take out. This recipe looks terrific! Do you really cook each piece indiv??? You’ll want to add each chicken piece to the oil individually but you’ll cook them all at once. Hopefully this helps clear up any confusion. This looks so delicious! I am saving this recipe! That looks so perfectly crispy! GET IN MY BELLY! This looks like perfection! Mmmmm no need to go out for takeout with this delish recipe! Now we can eat in and enjoy Chinese! Win win!